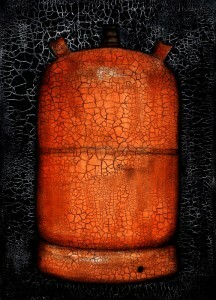 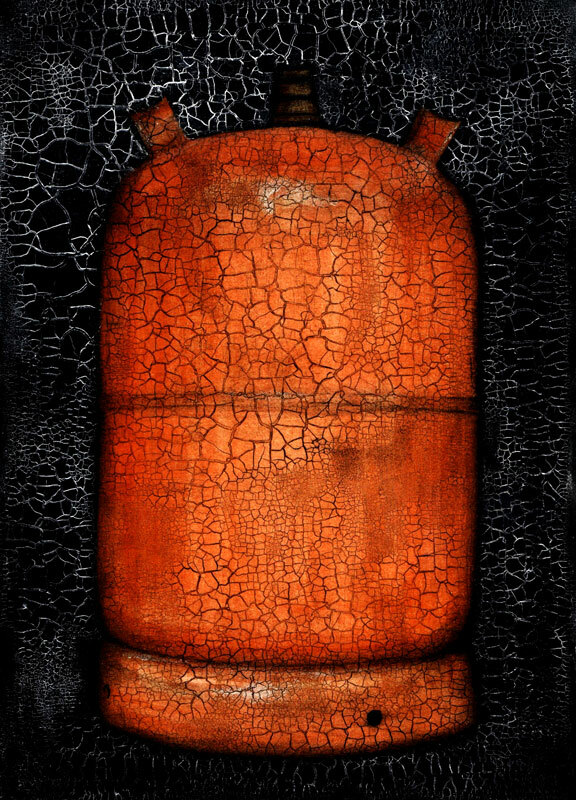 For this version of the ‘design classic’ gas bottle (bombona in Spanish) I put a wash of acrylic paint over the charcoal drawing and then applied a crackle glaze and stains. 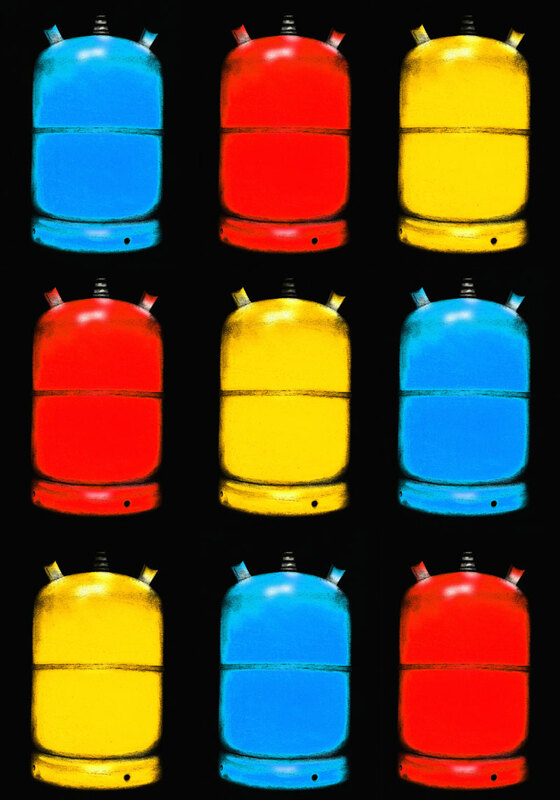 These are variations of a charcoal drawing of the orange butane gas canister which is ubiquitous here in Spain…for me it’s a design classic. 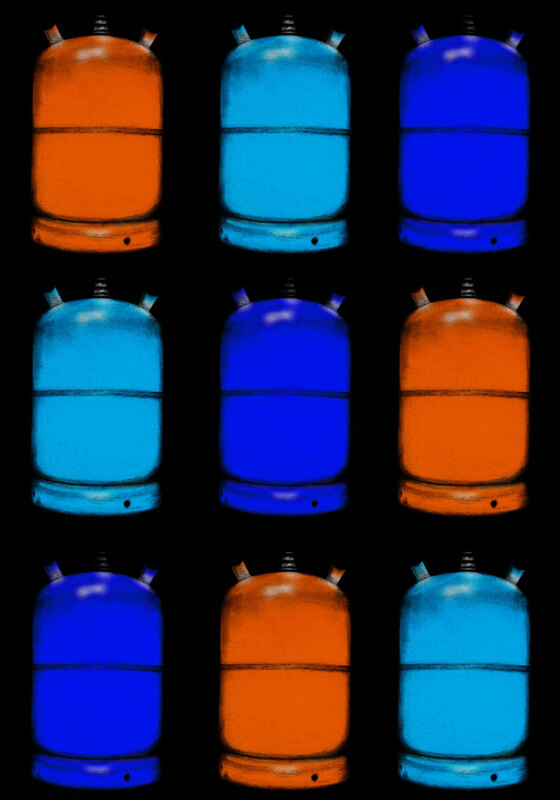 I scanned the original drawing and coloured it digitally, experimenting with different colour combinations. 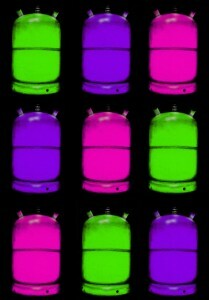 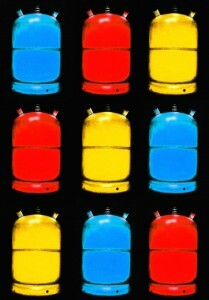 In Spanish they are called bombonas, and bombonas bonitas means pretty gas bottles, hence I’ve combined the two words.